Time for Equality interviewed Siddika Ahmed, founder and managing director of Breaking the Cycle UK, a woman passionate about equality, engaged in numerous community empowerment projects and a long term advocate for better relationships between regional governments and local communities. This interview is part of a two-article series by Roxana Mironescu, aimed at presenting and showcasing one of the projects that Time For Equality has chosen to support in the frame of our ‘Take Action’ mission. The first article will introduce Siddika Ahmed while the second article will look more in detail at her not-for-profit organization, its goals and its endeavours to bring about real change by supporting the education of girls in Sylhet, Bangladesh. Roushon Siddika Ahmed is a woman of many talents, but mostly with a great heart and exceptional drive, living with passion, while striving to make a difference to the people around. Siddika has extensive experience working with the private and public sector as well as with not-for-profit organisations in the UK and internationally and has successfully delivered projects at international, national, regional and local level. Moreover, she has over 10 years experience of influencing, implementing and supporting the delivery of government policy both locally and nationally, having acted first as a Network Development Manager for Black & Ethnic Minority third sector groups and organisations in North Western England, then becoming a Strategic Policy Adviser in the UK’s Government North West Office. 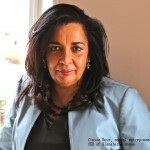 Brought up in the philanthropist spirit and of Bangladeshi heritage, in 2011, Siddika Ahmed founded ‘‘Breaking the Cycle UK’’, a not-for-profit organisation supporting young girls from disadvantaged backgrounds in Sylhet, Bangladesh, to pursue secondary education and thus to be better informed and prepared for their life ahead. 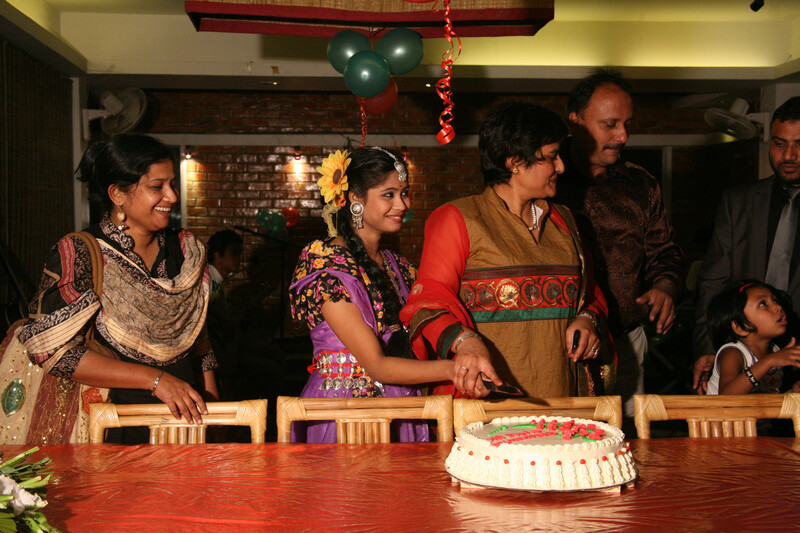 Ever since then, she is the ‘‘returning daughter of Sylhet’’ for which (along with her long term work and commitment) she was praised and gained recognition yet again in January 2014, when she was included in this year’s list of the 100 most powerful and influential British Bangladeshis, under the ‘‘Activist’’ category. Supporting the exceptional work of ‘‘Breaking the Cycle’’ and praising the role model that Siddika Ahmed is for others, Time for Equality conducted an interview with her in May 2014.
Who is Siddika Ahmed? How would you define yourself? ”I am a British Bangladeshi woman committed to making a difference to the people around me and with Breaking the Cycle UK – specifically to the future of girls from disadvantaged families in Bangladesh. The eldest amongst 6 girls and 2 boys from Bangladeshi parents, I learnt from an early age to care for others. Not only by taking care of my siblings, but also as an advocate for other Bangladeshis who lived in the surrounding areas in the West Midlands who had language difficulties to access medical services etc. My father encouraged my passion for studying and following a successful education in the sciences, I took up a role in the Health and Safety Executive at Shell Internationale in The Netherlands. Although this was a great opportunity for starting a long-term career, personal principals led me to leave Shell and move into Sales and Marketing with a top 10 Global Pharmaceutical Company. Achieving the best sales awards in the first year and further successes in the years following, marriage led to a change in geography and career-path. I ventured onto a more personally fulfilling career in the Voluntary and Community sector. I was elected to be the first Bangladeshi woman Chair of a strategic regional Equality Group. My legacy was a positive celebration of diversity each year appropriately named “celebr8: Don’t Discriminate”. 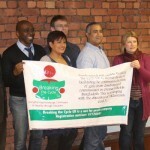 Stakeholders show-cased the positive contributions that people from all minority groups made within their communities. Most recently I have been included in the 2014 list of the British Bangladeshi Power 100 under the Activist category. Many people define us in relation to our heritage, our ethnicity, career or financial status, so it becomes difficult to define oneself without those influences. I think I am someone who strives to make my actions congruent with my inner self and to be consistent in my endeavours to make a difference in some way that will have a lasting impact on society. When and how did you start getting involved in charity activities set to make a difference to disadvantaged communities from the UK and abroad? ”When I moved to Manchester about 15 years ago after meeting my husband, I started to volunteer for a small local charity to befriend people who felt isolated. Realising the struggle for funding and services faced by many ethnic minority organisations I applied for a role as Regional Manager for One North West. This position included supporting groups from Black and ethnic minority communities to become active citizens and voice their needs by participating in consultations so that they could have influenced policies that had an impact on them. I became a member of the North West Regional Social, Economic and Environment Policy Group through this role and played a key part in the development of the first joint North West Equality and Diversity Strategy, endorsed by the Secretary of State for Communities. 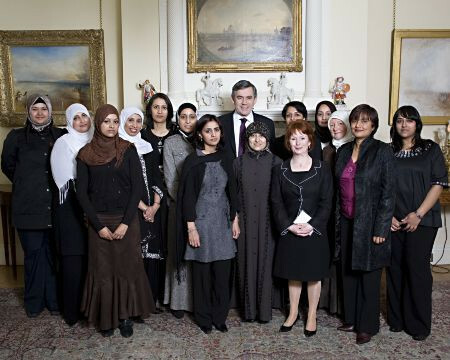 Picture of members of the National Muslim Women’s Advisory Group with Prime Minister Gordon Brown and Communities Secretary, Hazel Blears at 10 Downing Street on 21 November 2007 for the launch event of the group. When I gained recognition from the Minister of Communities and Local Government and was appointed to be a member of the National Muslim Women’s Advisory Group, one of the responsibilities I had, was to encourage and support Muslim women to become actively engaged in the political process and to act as role models for other women. The position enabled me to be part of a Foreign Office delegation, with the aim of engaging in dialogue with local Sylhet District Officials, media and community activists about the impact of negative, external influences on the youth of Sylhet. What drives you to take part in so many projects, to advocate for change and life improvement for certain people and ethnic groups? ”We have always been encouraged to help others less fortunate than us, as Muslims it is part of the 5 main pillars of Islam. Over the years, you have built a career in the public sector, lobbying for numerous causes related to equality, diversity and community cohesion. What are the main challenges as well as the greatest achievements and rewards when making policies, drafting action plans and strategies? ”Lobbying has its frustrations as well as joy. Challenges include gaining support for specific issues and enabling a change in mind-set by politicians, policy-makers, local leaders as well as indigenous communities. Certain issues require funding to bring about change and this can sometimes be one of the great challenges because even if we bring about agreement to change policy, implementing the actions can be expensive or resource heavy. The greatest achievements are when an issue is recognised by Government and then a Minister becomes a figurehead to lead the cause, budgets are agreed and local government and Public and Private Sector organisations work together to implement those changes. From 2007 to 2010, you worked for various local and regional government bodies in Manchester and the North-Western region of the United Kingdom. How effective is the bureaucratic system in making real changes for (potentially) and proven disadvantaged groups? ”The bureaucratic systems are inadequate in making real changes for these groups. It is not that there is not the will – but the system is so controlled by Party politics that barriers to change are inevitable. What is the best approach for local and national governments to efficiently address the diverse needs of minority communities? How can the public also be engaged in community empowering and cohesion projects? ”Local and national governments could engage more with communities to understand their needs and when policies are developed, trial these first, get the views of communities about the effectiveness of policies before implementing them. Nurture more people from diverse communities to be employees within the Civil service so that they come with a greater understanding of the communities being affected. Ministers need to champion projects and get more involved at the community level and Civil Servants advising Ministers should be seconded into community organisations which would be affected by new policies. The public can volunteer with projects or be more involved as Board Members of community empowering and cohesion projects. Until recently, you acted as the Enterprising Women’s Officer for Oxfam in the North West and Yorkshire. Can you please tell us more about your former role? What responsibilities and long-term strategies did this position entail? ”In my role as Enterprising Women’s Office for Oxfam, I worked with women from Bangladeshi communities, who were unable to access mainstream employment due to language and education barriers or child-care responsibilities. As a Bangla-speaker myself, I was able to support them through a business development course to improve their knowledge of the process involved in setting up their own business, here in the UK. We were keen to ensure that the women felt confident at the end of the course, that they could develop a business plan and use the skills that they had developed until now as a hobby into an income generating opportunity. This project was a pilot to see whether hobbies could indeed be turned into a small enterprise which could be a co-operative with a team of women working together or a home-based business which the women could run-individually. As the funding was short-term, the exit strategy was to introduce the women who wanted to progress with developing an enterprise, to an organisation funded by the government to support new business. Some of the women are now working with this organisation to complete their planning and development process. 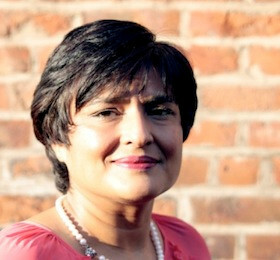 A research project was carried out in partnership with Manchester Metropolitan University which will highlight the skills and talent of ethnic minority women and encourage the future provision of bespoke training and support for women who have language barriers, but have talent and skills that can be harnessed and enable them to participate in the economy. Sadly, I am not optimistic about funding being made available to meet the needs of ethnic minority women who have the desire to pursue their own source of income generation through a “bespoke programme of development”. In January this year, you were included in the 100 British Bangladeshis List of 2014 under the Activist category. How is this affecting your work? Does it make it any easier to raise awareness and to find support for your cause both among private partners and government bodies? ”The recent inclusion in the British Bangladeshi Power 100 list has not made a recognisable impact but I cannot be sure. 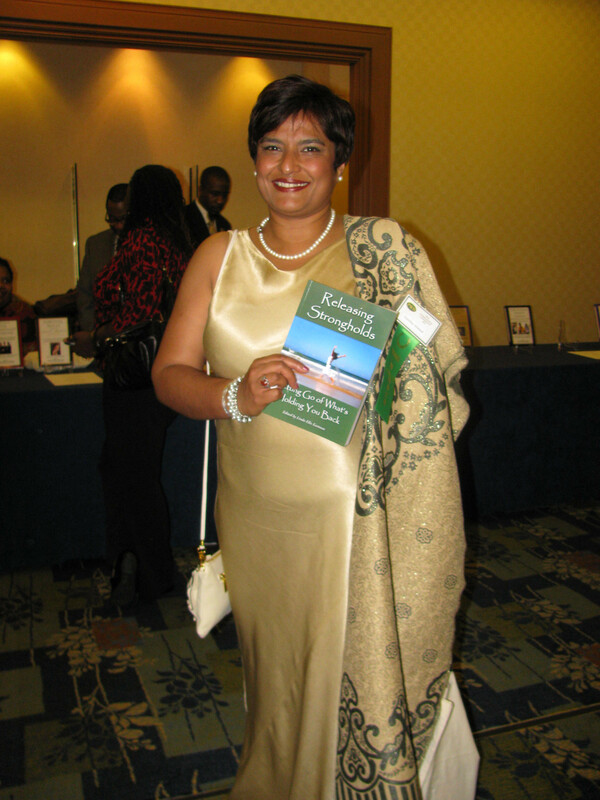 I recently got accepted by the international women’s group to participate as a mentor in a conference:MAD Leadership – Making a Difference 10th and 11th June 2014. 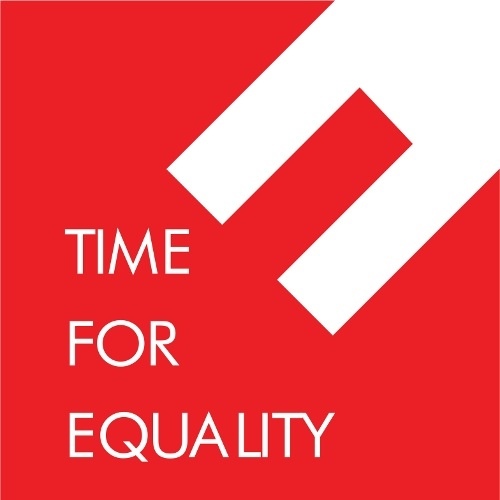 I was selected out of 300 applicants to be a lead in this international conference and Time for Equality is supporting the work that I am doing so perhaps there is a positive impact on what I am doing. In 2005, she was elected to be the first Bangladeshi woman chair of a strategic regional Equality Group within the North West Regional Assembly in the UK. Her passion for equality also led to her selection as a member of the National Muslim Women’s Group by the Secretary of State for Communities and Local Government between 2008 and 2009. From 2009 to 2012 she was the Head of Direct Support in the Department for Communities and Local Government and from June 2013 to April 2014 she was the Enterprising Women’s Officer for Oxfam, in Manchester. 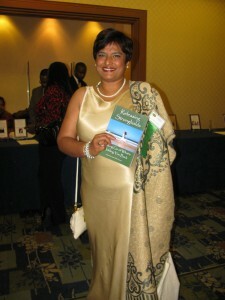 In 2012, she wrote the chapter ‘‘Chart Your Path: Living Your Passion and Purpose’’ for the book ‘‘Releasing Strongholds’’, a compilation of chapters written by women from across the world detailing on the journey that the authors have travelled to achieve a dream and overcome challenges, published by PWN Books. She joined Forever Manchester, a charity that aims to fund people living in Greater Manchester to improve the place where they live in, first as an Ambassador and then board member from January 2013. 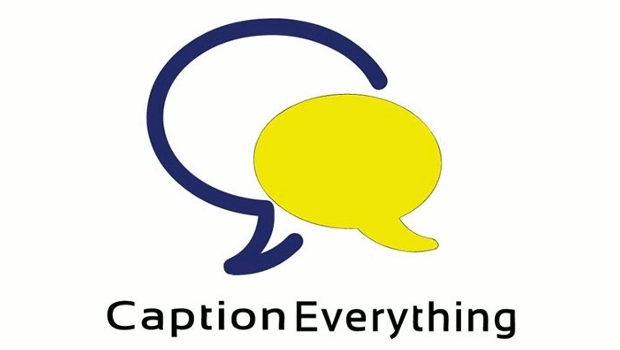 « How can citizen journalism empower young women?